13 Weeks Pregnant: First Video of the Baby! Thankful For The Little Things! A joyous Thanksgiving to everyone! We couldn't be prouder to share with everyone why we are so thankful and blessed for our little bun in the oven on this day dedicated to family togetherness and love. What better day than today to debut our little blessing? 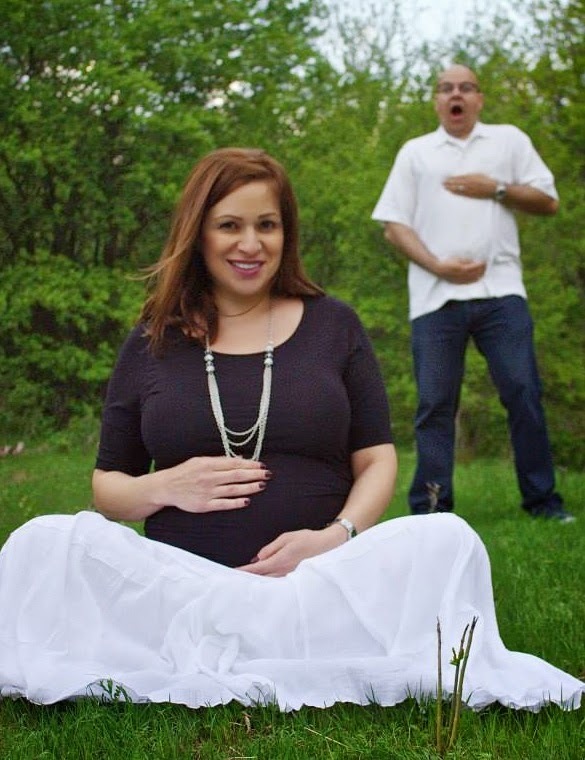 So here for his debut, is Baby Gallegos showing off by not only squirming and doing leg presses, but he decided to tell us how he handled hiccups! I myself am convinced the hiccups are due to the wife's obsession with Cheetos!!! Click Here to Watch First Baby Gallegos Ultrasound Video! Today the baby's gestational age is 13 weeks exactly or 3 months 1 week pregnant. I don't get the whole week tracking thing. I guess I was never really good at month to be calculating things in my head. But 3 months pregnant is more practical to me than this week business. We had to cancel Thanksgiving plans with friends because this was her 3rd day in bed with both a cold and raging headaches. But since we have the best friends ever, they delivered food and dessert all night long. We also did some quality face timing with the annual traditional reunion of the wife's family. We felt the love as they wanted to see and talk to us about our big news announcement which was more of a bombshell to them all as they were and are so much in awe and happy for the fact that it was now our time. Fairly enjoyable day with calls from family and friends sharing their love. Doesn't get better than that. I also followed the birthing trail (literally) well into the night from a friend who is currently in labor at Cedar Sinai Medical Center in LA also giving birth. Rough labor which about an hour ago was scheduled to be a c-section right about now. How cool to be born today. So congrats Lisa and Henry! Now I look forward to leftovers for the morning!